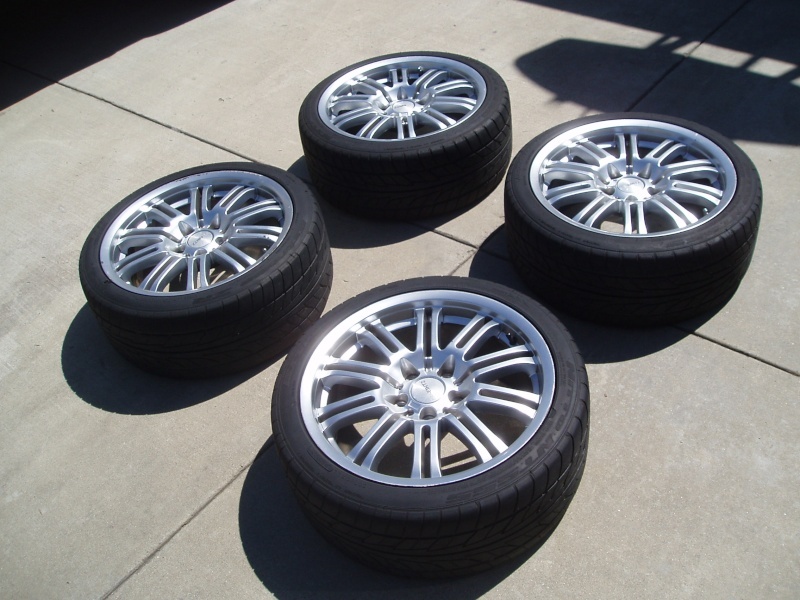 AB-EINTZ Pin Type wheels 18"
For sale is a nice tire/wheel package. These are German AB-Eintz wheels, I think the model name is 'Pin type'...at least this is what a google search revealed me when I looked into it. These came off my '02 BMW 330Ci. These were not the factory wheels. 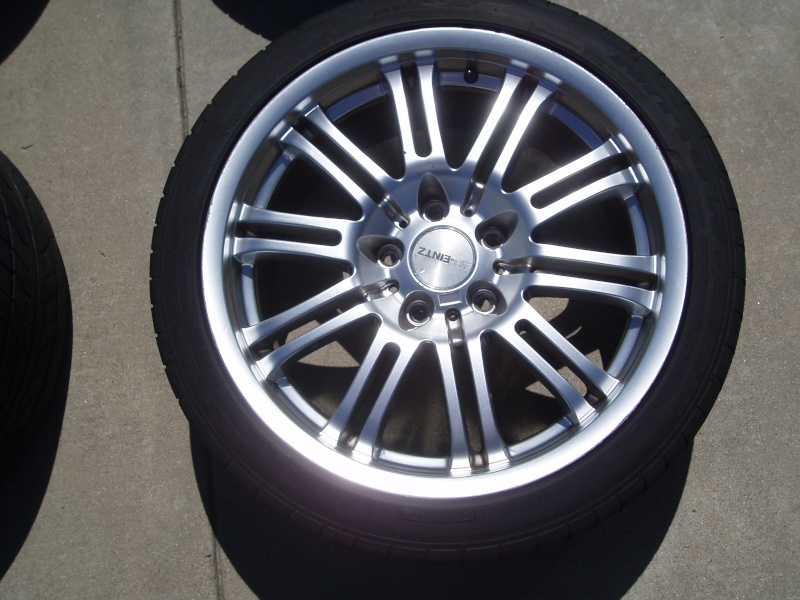 Two of the rims have minor curb rash but all can be refinished and would look amazing after. 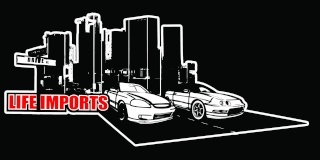 Tires are Nitto NT 555 with a few thousand miles left on them. They do have some cracking from normal sun wear so they should be replaced soon. 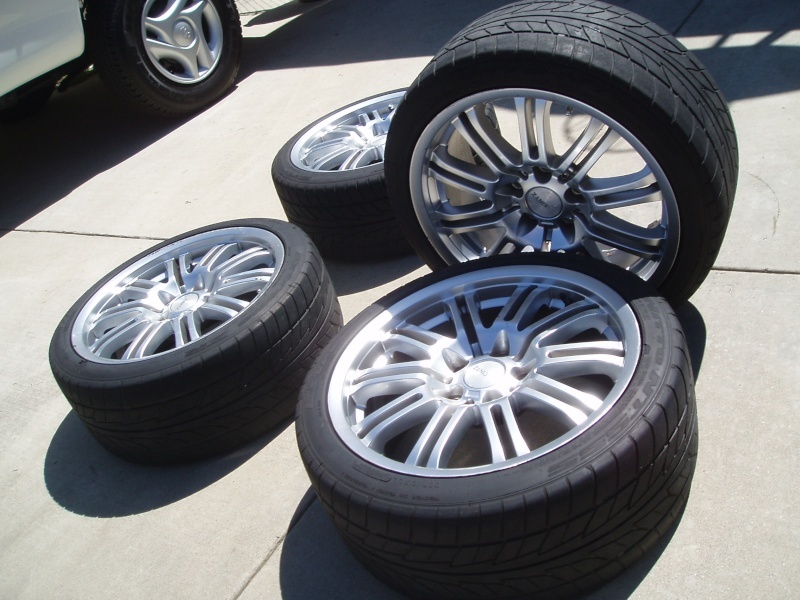 (What I am really selling here, and what you are paying for are the wheels, but they come with the tires too). Here are some specs. Re: AB-EINTZ Pin Type wheels 18"
UPDATED: Price reduced to $390...someone buy 'em!! !